Based on the concept where every being have their own personal stories to tell, yet one often judge others before they even speak. Too often, humans judge based on the artificial appearance of each other resulting in many of fearing to speak of feelings in one’s emotional realm. 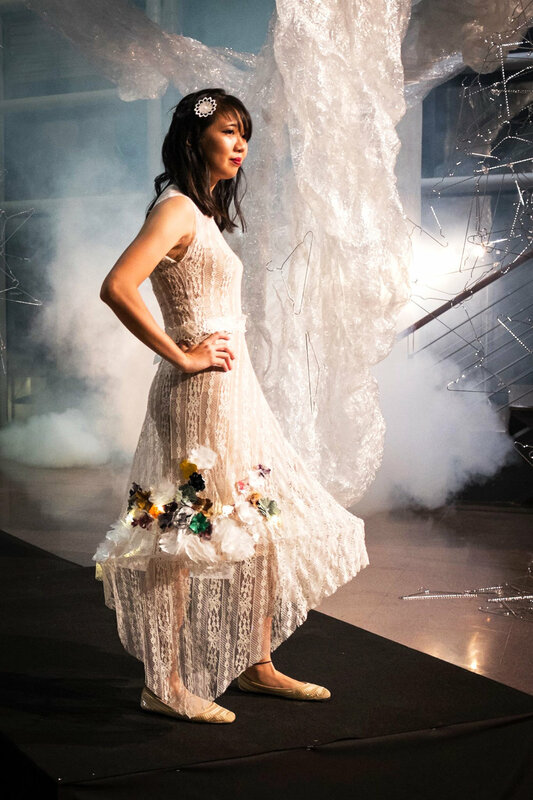 Combining both fashion and technology, this dress aims to bring across the message to others: speak more and to not be afraid to speak of your thoughts. Made of lace, a material that somewhat transparent material to show that idea that each human is vulnerable and delicate at heart. 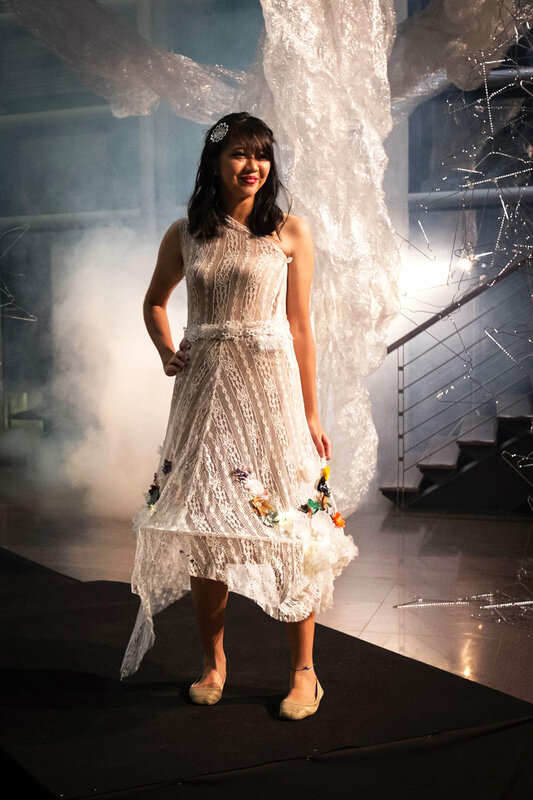 Combining technology by using the LilyPad Arduino Main Board, LED lights and sound detector, the dress is able to respond to sound, where a sound detector is sewn onto the dress and programmed using the main board. The flowers made of fused plastic of all sorts and colors which will light up when sound is being detected. The flowers are representative of the blooming thoughts we all have that we often do not speak of but stuck within our heads. Works were displayed in the Art Science Museum Singapore at Marina Bay Sands, with a total number of visitors to the gallery hitting more than 1200 over the weekend features. We all have a story to tell is a Fashion Technology project taken under DA9004, Technology Art in Fashion in Nanyang Technological University, School of Art, Design and Media with Galina Mihaleva.